Uruguayan food is very similar to Argentine cuisine; both countries are fiercely carnivorous, and share a common love for dulce de leche. 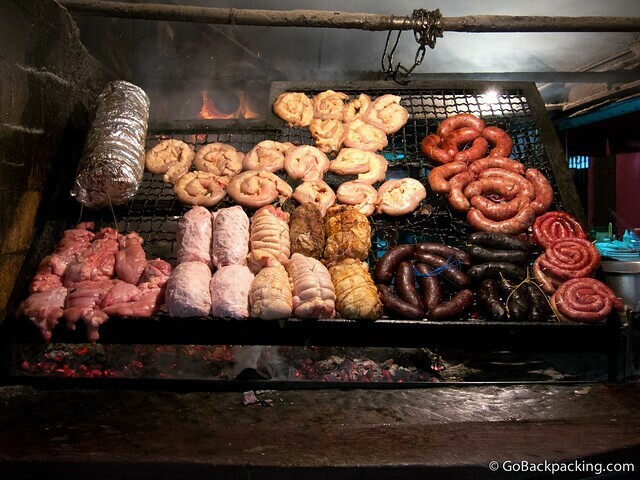 Asados, the traditional process of grilling steak and meat over wood fires, are found in every town. Just look for the restaurants referred to as parillas. Pizza and pasta are both available throughout Uruguay, but I'm leaving them off the list below. Quality is OK, but nothing special. 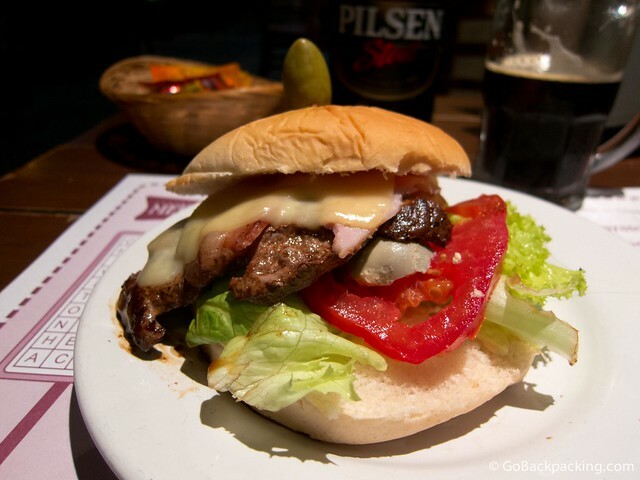 When visiting Uruguay, you're better off focusing on meat and fish. The chivito is as ubiquitous as hamburgers in the USA (and Uruguay for that matter) — every restaurant serves them in one form or another. Most offer at least two or three different versions, with a varying degree of toppings. They're sometimes available with chicken instead of steak. 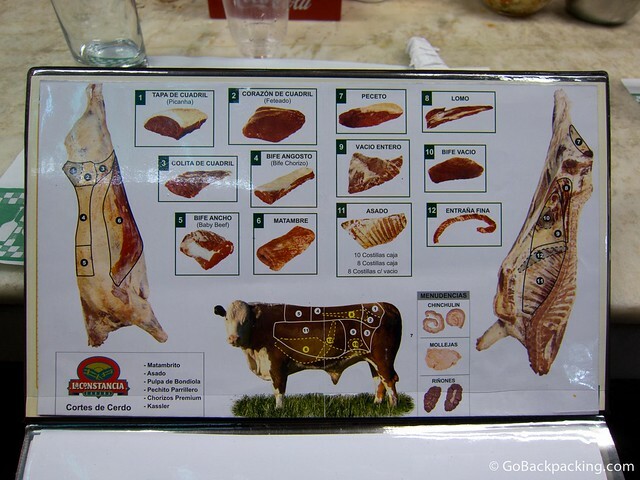 Where to Eat It: Chiviteria Marcos is a popular chain of chivito restaurants located throughout the country. 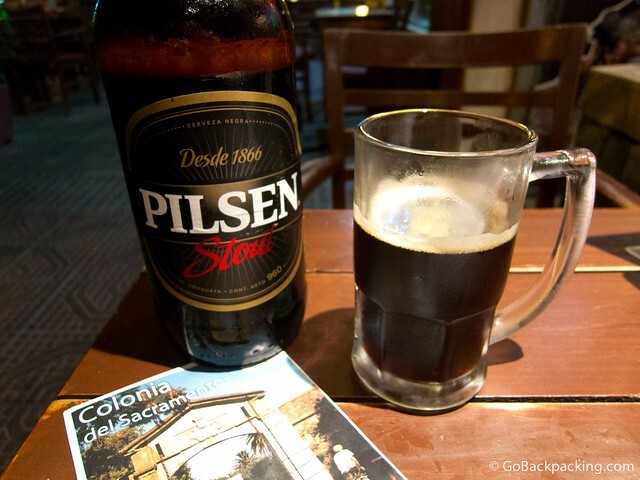 A location in Montevideo was featured on Anthony Bourdain's Uruguay episode of No Reservations. Choripan is a chorizo served in a baguette, with various toppings. Given the majority of Uruguay's 3-million citizens live along the coast of either La Plata River, or the Atlantic Ocean, it's no surprise fresh fish is widely available. White fish (merluza) is the less costly option. Salmon is available, but pricey. 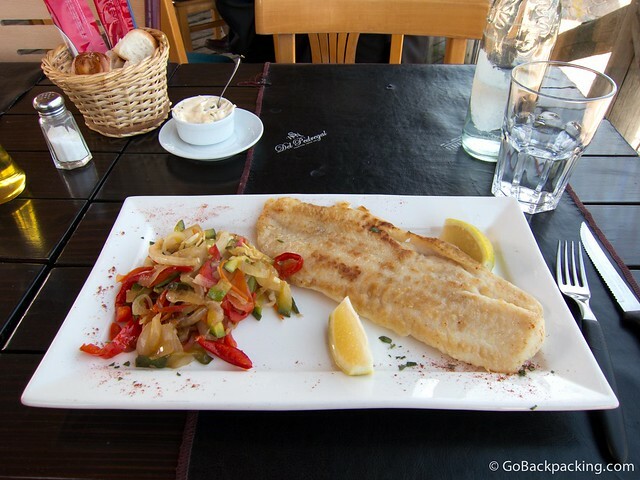 Where to Eat It: Fishing villages, like Cabo Polonio or Punta del Diablo. Milanesa is a thin, breaded steak. Milanesa de pollo is a breaded chicken breast. Both are usually served with French Fries or puree (mashed potatoes). Pancho is the name for Uruguayan hot dogs. These are smaller than the chorizo used in choripan, and less flavorful. 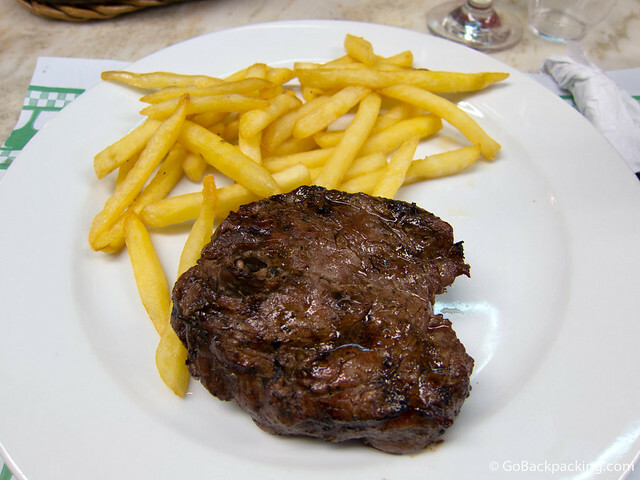 In Uruguay, cows outnumber people 3 to 1, so it should be no surprise that steak is something of a national dish. And they do it well. During my swing through Uruguay, I sprung for a small filet mignon, and it was as good, if not better, than any steak I'd eaten in Argentina. Alfajores are a popular sweet from Argentina. They come in a wide array of flavors, but the classic version includes dulce de leche between two pieces of soft cake. 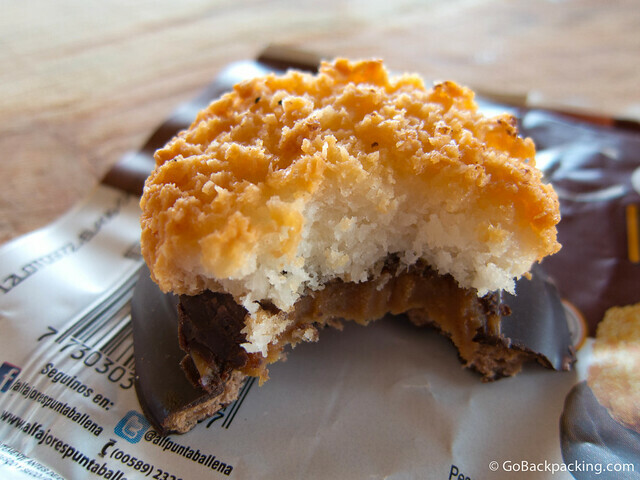 The best alfajores are the ones made in the bakeries and pastry shops every day. The store-bought ones range in quality. Pay more to get the best ones, otherwise they're dry and crumbly like a cookie, instead of moist like a cake. Originally from Spain, churros are popular in Latin America too. These tubes of fried dough are sprinkled with sugar, and sometimes filled with dulce de leche or chocolate. A sweet derived from slowly heating up sweetened milk, until the sugar caramelizes. Dulde de leche is used in all kinds of deserts, from alfajores and ice cream to sweet pastries, cakes, and pies. It's also used as a topping for bread in the morning, much like Nutella. A creamy custard which with a thin layer of caramel on top. The quality of flan can vary wildly. A unique sparkling wine created in 1886 at the Mercado del Puerto in Montevideo. It's made by combining 50% white wine and 50% champagne. Where to Drink It: At the Mercado del Puerto in Montevideo, where free samples are handed out every day starting at Noon. One of the domestic beers you'll find throughout the country. Nothing special. Another domestic beer you'll find throughout the country. 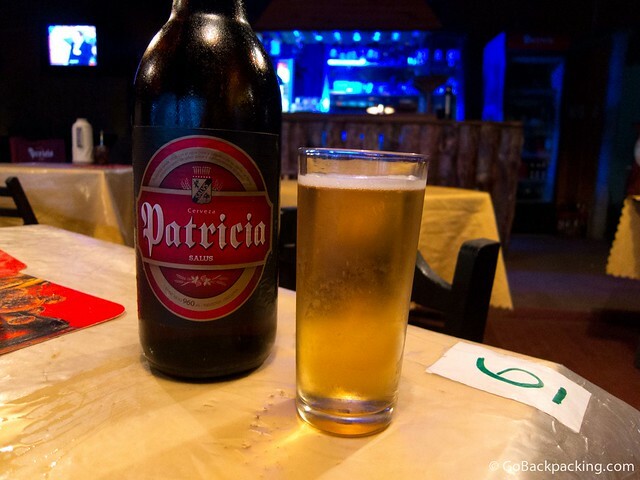 I preferred the stout version to the regular, which tasted similar to Patricia above.